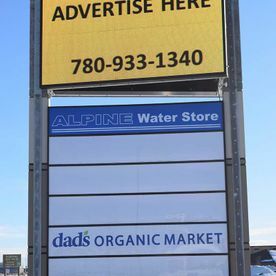 Are you looking for a refreshing new way to advertise your business in the Grande Prairie area? 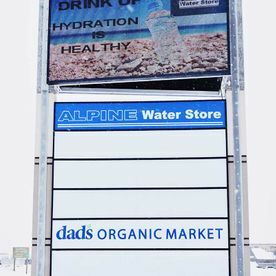 Alpine Water Store invites you to customize our water bottles to fit your needs; choose from either sport or flat caps. 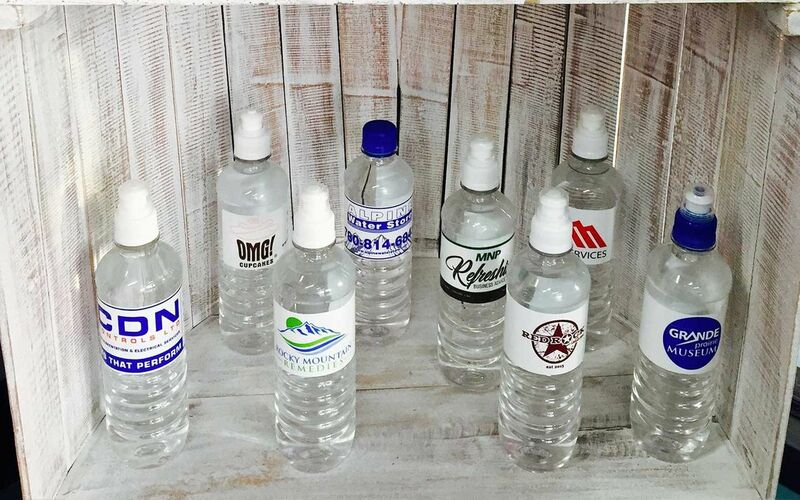 Our bottles can be personalized with photos for special events, such as weddings or graduations, or as a unique form of advertising for your business, school, or sports team. 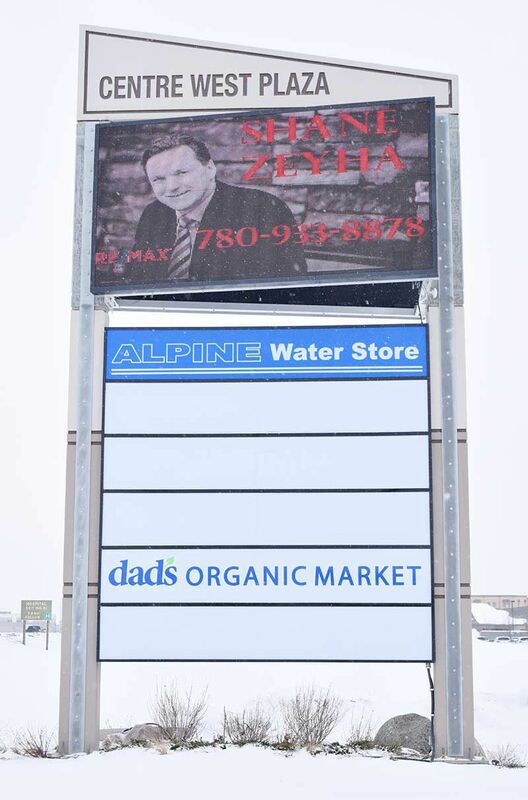 Come by and pick up your personalized 500ml water bottles today and find out why so many sales reps and businesses are using them to promote their products and services when making sales calls and attending trade shows. 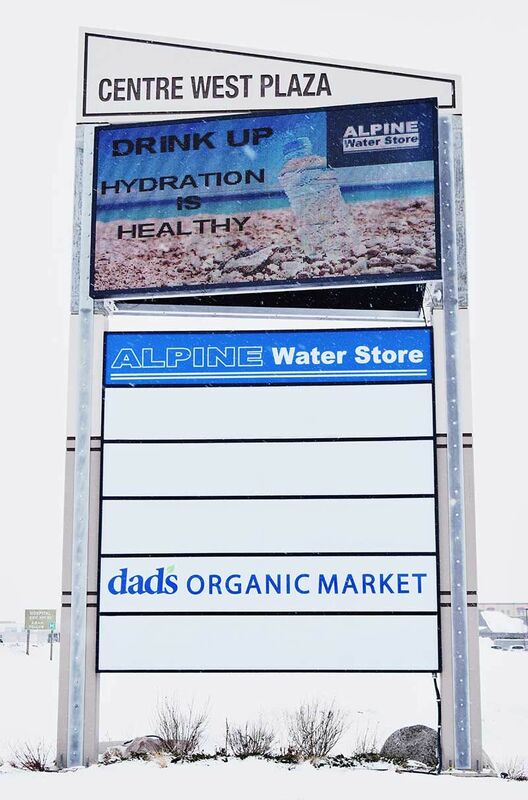 Customized water bottles are an affordable, effective method of advertising your business can’t afford to turn away. 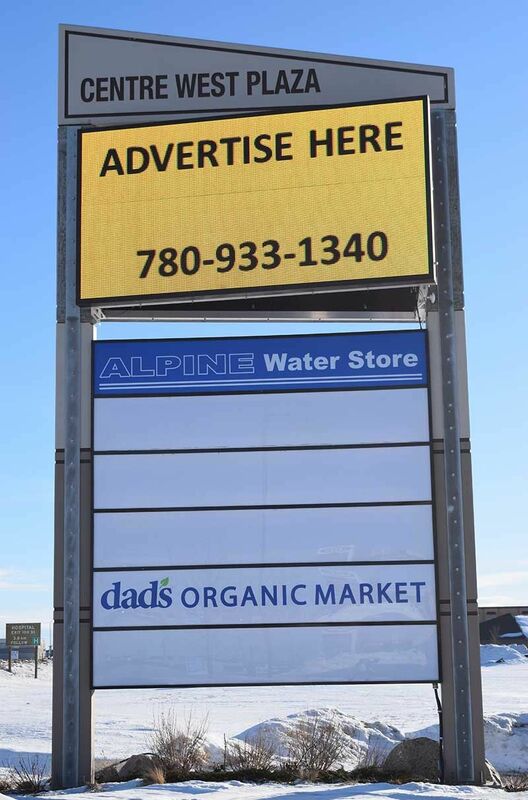 We also have a prominent digital video advertising screen available at our highway location in Grande Prairie’s Centre West Plaza. 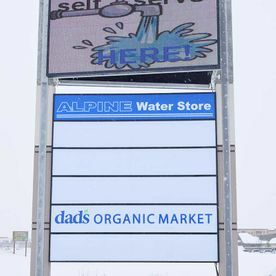 Digital advertising boards allow your business to get quickly noticed thanks to their vibrant colours and striking visual impact. They’re also easy to update with new information, including changing menus and/or special promotions. 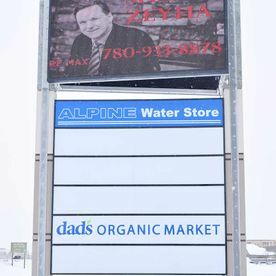 Please contact us to learn more about this unique advertising opportunity. 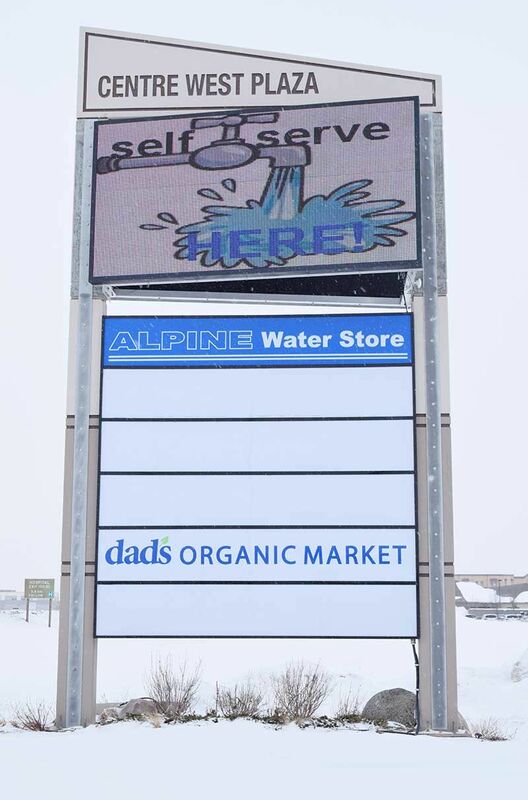 We would like to thank you for being a part of this new and exciting extension of Alpine Water Store!